I pay a professional photographer to take pictures of some of my quilts and it is worth every. single. penny. 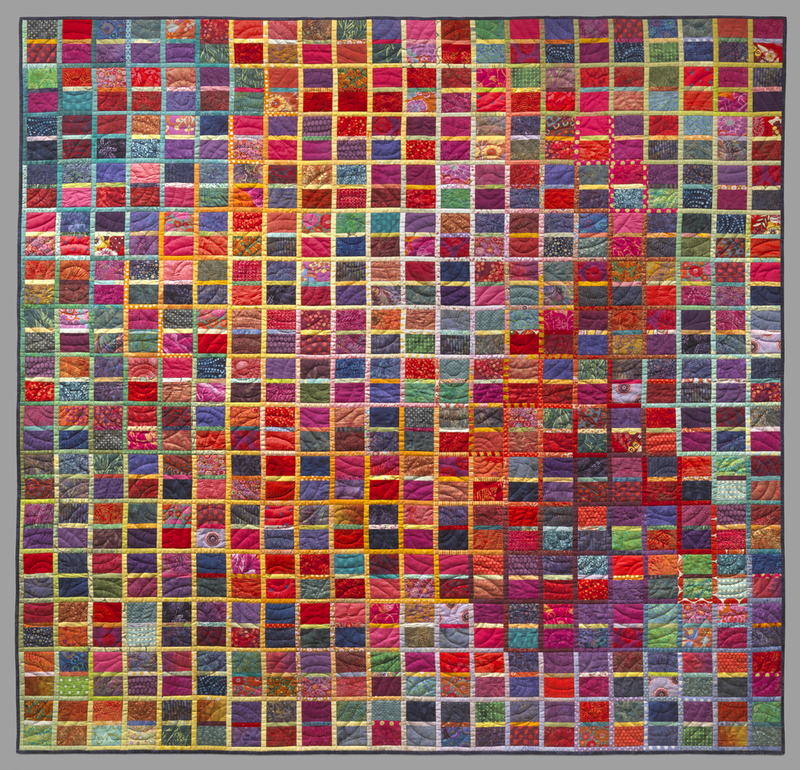 Three or four times a year I call Stephen Petegorsky and he is able to capture my quilts at their best. He has the space and equipment to take great photos, but more importantly he has the knowledge and the talent to make the portraits sing. I think all of the evidence you need is to compare the two photographs. It really is the same quilt. Notice how my photo is blurry. 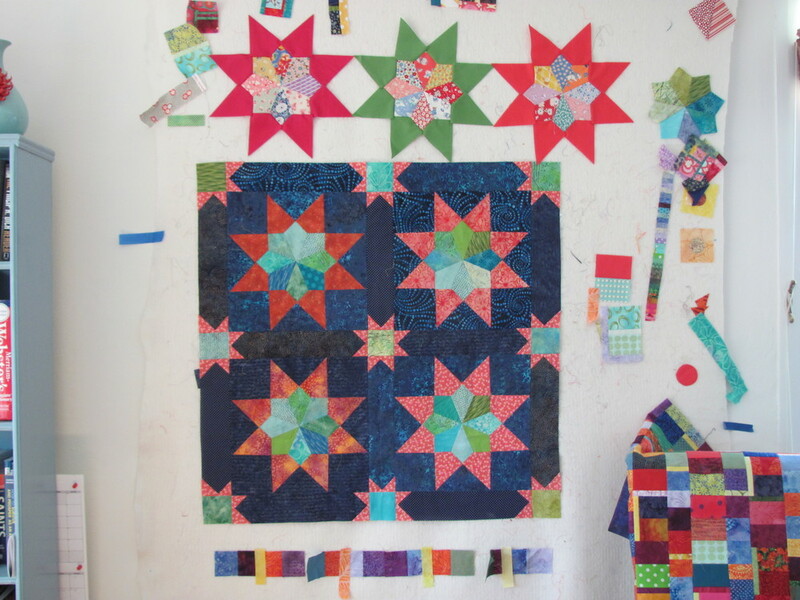 And how the quilt is not hanging straight as it is precariously placed over a doorway. And the color is weird. Thanks to all of you who emailed me, and commented on my Facebook page about naming the quilt in the previous post. The winning title is Pane Reflections. (My husband thinks it should be titled "Pain Reflections" as this quilt seemed to be a particularly painful one to complete.) You all helped me refine my ideas into a name that makes sense for me and the quilt. The piecing is an abstraction of city windows, while the quilting is what I had been seeing while standing in the rain waiting for my daughter's school bus. Now I'm ready to move on to the sublime and the ridiculous - the George Washington quilt.